You’ve probably never heard of them before, much less tried one. But the best bamboo pillow may change the way you sleep. These pillows offer not only comfort but with the added security that you’re free of allergens, dust and bacteria. Below is a quick reference list of all the best products we’ve found. Underneath our list, we’ve included reviews of each of the items so you can learn more about them. Bamboo pillows can be used by any type of sleeper. Its main purpose to help keep you cool at night as well as let you breathe better. They are anti-bacterial and prevent dust mites. 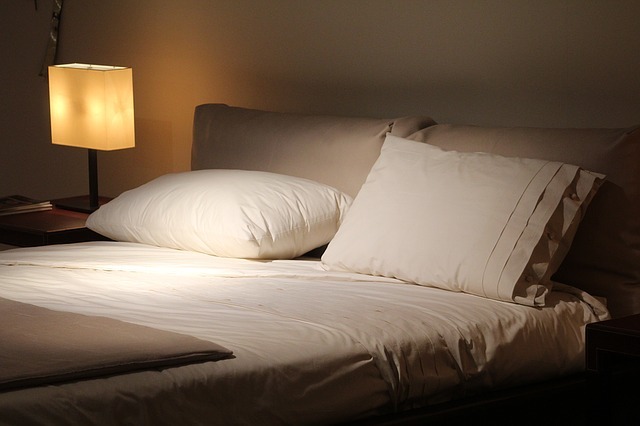 Unlike most pillows that harbor all kinds of bacteria, bamboo pillows are resistant to them. This makes them ideal for anyone with allergies, asthma or any kind of breathing issues. Aside from breathing better, you know you’re resting your head on a cleaner surface. Cooler sleep. Aside from being hypoallergenic, they keep you cooler at night. They don’t retain heat like memory foam pillows. Organic and eco-friendly. Because they come from bamboo, they are fully sustainable and more environmentally friendly. They are also made from natural material unlike synthetic pillows. Best Bamboo Pillow: Those looking for a hypoallergenic pillow that helps prevent dust mites and other allergens from bothering your sleep will love our top pick. This pillow comes with a bamboo cover and a shredded memory foam inner. Together they alleviate one of the biggest issues associated with memory foam pillows which is the heat they produce as the night goes on. The elastic properties and the shredded nature of the memory foam offer extra ventilation. The cover meanwhile thanks to its bamboo component offers a more breathable fabric that helps allow the pillow to stay at lower temperatures so you don’t wake up in the middle of the night due to the warmth. We also like that the shredded memory foam allows the pillow to be flexible. This lets you adjust it and mold it to how you want, which isn’t possible with standard memory foam. Made with CertiPur-US Certified Foam, you’re assured that the inner material is made in the U.S. and of good quality. The manufacturer, Coop Home Goods also places a 5 year “no flat” warranty, which assures you that the pillow will keep its shape. If you’re not happy with the product, after 1 month, they’re ready to give you a full refund as well. The guarantees behind the product is one of the reasons it is our top pick. This pillow helps alleviate breathing issues whether from asthma or allergies thanks to the bamboo cover. The memory foam meanwhile, helps aid in back and neck pain relief so you sleep better. Best Bamboo Pillow for the Money: When it comes to choosing bamboo pillows to help you sleep better at night, this is our top pick as far as value for money goes. It comes in at a more affordable price compared majority of the offerings in the market. This is our economical choice, because it is priced around half of the first product above. The price looks to be at a steep discount from its regular retail price, so we’re not totally sure if the retailer will keep it at that price, or for how long. That said, this comes with a similar zippered cover that’s made from a blend of bamboo and polyester. This offers both the smooth feel as well the cooling properties that help neutralize the head from the memory foam. This product also uses its very own shredded memory foam technology which helps with temperature regulation, while still offering good support to achieve pain relief, which is what memory foam pillow were created for. The pillow helps with headaches, neck pain and back issues that may affect your sleep or your energy to go about the day. As with the others in our reviews, you’ll want to let the pillow air out for a while after opening it as this gives it time to expand to its normal size as well as release all the trapped odor. After that, it’s ready for use. Comes with 20 Year Warranty: Made in the USA, this comes with a very impressive 20 year warranty on its pillows. The company claims this is the longest warranty in the industry, which we do think is a possibility. If you want to be sure that you get what you’re paying for, this is a very good option due to that warranty backing by the manufacturer. The reason the manufacturer is willing to give that long a warranty is that they use higher quality material which is more durable. The inside of the pillow is composed of CertiPur-US and Biogreen memory foams. This makes the pillow fluffier thanks to the smaller shredded pieces of memory foam. It also allows less heat to be kept in, as well as more resilient to use. Fully machine washable, it comes with a hypoallergenic, and environmentally friendly bamboo cover that helps keep you cooler through the night. The cover is made from 43% bamboo, 56% polyester and close to 1% lycra. Offered in standard, queen and king sizes, this pillow is a good option for anyone looking for relief from back and neck discomfort, while also getting a cooler, hypoallergenic pillow. Bamboo Body Pillow: Those who sleep on their sides, or want a longer pillow to cuddle against while they slumber can try out this bamboo body pillow. This product comes from the same manufacturer as the pillow featured above, Snuggle-Pedic. As such, it offers the same long 20 year warranty along with the 90 day refund policy should you not be satisfied with how the pillow feels. That said, this comes in a totally different shape. Instead of the usually head pillow, this has a slimmer, longer shape. This allows you to cuddle with it and rest against it if you’re a side sleeper. The inside of the pillow is made from a combination of CertiPur-US Certified Foam as well as Biogreen memory foam which is eco-friendly. This allows the pillow to offer it’s supportive feel yet be conforming to the shape of your body to make it more comfortable. Do note that the pillow’s cover can’t be removed so the bamboo cover stays on with the pillow at all times. This is what allows the pillow to be machine washed and dried safely.